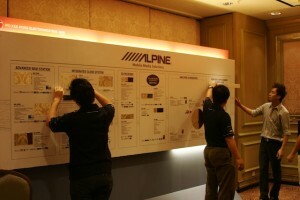 A DAY before the opening of the KL International AV (KLIAV) Show 2012 at the JW Marriott, exhibitors were busy putting the finishing touches to their rooms in readiness for the three-day event (July 20-22), and bracing themselves for the thousands expected to throng the show’s corridors. There are around 70 exhibitors this time, displaying a range of budget and state-of-the-art AV and hi-fi equipment – expect 3D and high-resolution gear to keep you entertained this weekend. This is the 19th iteration of the show and the 12th consecutive year it is being held at the same venue. So what’s special this year, you ask? Well, for starters, visitors paying the RM10 entrance fee will get a unique door gift – a copy of the show’s Limited Edition Commemorative CD, carefully put together by Joseph Ki, architect, music lover and local audiophile legend, and founder of the homegrown LS3/5A club. Tracks for the CD were sourced from the highest possible resolution master before being down-sampled to 16-bit/44.1kHz Redbook CD standard. A number of manufacturer representatives will also be around to answer your pressing questions about technology and their products. Of course, regular visitors know there are special bargains to be had each year, and it’s no different this time – if you’re not there, you don’t know what deals you’ve missed! Showtimes are 11.00am to 7.30pm (Friday) and 10.00am to 7.30pm (Saturday/Sunday). Be there … or miss out on the premier AV show in the region. 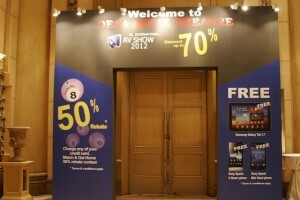 Also watch out for our special photo gallery covering the opening day of the show on July 20.